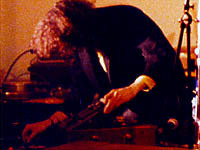 Joe Potts creates dense sound textures using a Chopped Optigan, an altered home console organ originally developed by Jack Ryan, husband of Zsa Zsa Gabor and father of the Barbie Doll. The Optigan used mylar disks with optical sound strips – pressing a note on the keyboard played one band on the disk. 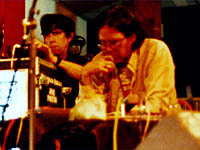 Joe’s alteration enables all 64 bands to be played simultaneously making the Chopped Optigan “the ultimate drone machine.” A founder of the LA Free Music society, Joe performs with Le Forte Four, Extended Organ, Waxy and Airway and has collaborated musically with John Duncan, Paul McCarthy, Chris and Cosey (from Throbbing Gristle), Don Preston (Mothers of Invention). 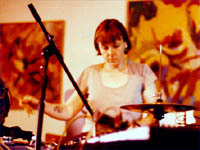 Gabie Strong’s music is composed of improvisational, free, and pop-psyche song structures, with a heavy drone influence. The Pacific Standard Recording label will soon be releasing a CD collaboration featuring Gabie Strong, Ron Russell and David Patton entitled “PS001.” Gabie currently plays drums in the band The Best of All, who regularly perform with Tom Watson. Rick Potts wrests strange and amazing sounds from surreal uses and abuses of an assortment of instruments, objects and toys including musical saw, electric toothbrush, old turntables, analog synthesizer and electric guitar. 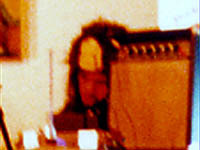 A founder of the LA Free Music Society, he has performed with Airway, Human Hands, Steaming Coils, Debt of Nature, Gothic Hut, and The Monique Experience. Rick is the man on the left in Solid Eye. 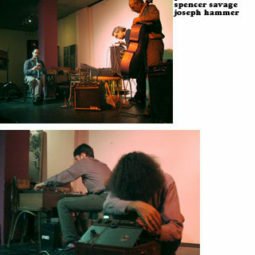 Joseph Hammer blurs the boundaries between digital and analog; his live “phonomontage” uses CD source abstracted by hand with vintage magnetic audio gear. 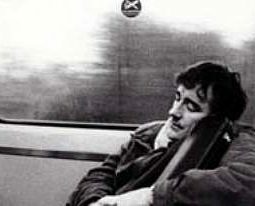 He has performed with Points of Friction, Blue Daisies, Steaming Coils, Debt of Nature and Vector 3Niner and collaborated with Eugene Chadbourne, Otomo Yoshiheda and Susan James. 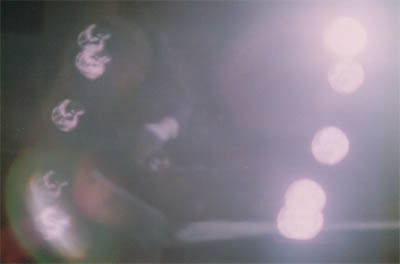 Joseph manipulates audio tape with his bare hands as a member of Solid Eye and can be found behind a wall of audio testing equipment and short wave radio in Kitten Sparkles. A specialist of the weirdly sublime, Don Bolles has altered radio waves as Venomous Invisible Amanda on KPFK, KBLT, KXLU and MARS-FM in addition to teen lives as a member of 45 Grave, Celebrity Skin and the Germs. He was recently spotted “spewing short wave radio noise” as a part of the transcendental experience called Kitten Sparkles.